Step 1 Download this registration from. 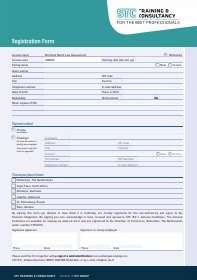 Step 2 Fill in the Maritime Dutch Law Assessment registration form. Step 4 A confirmation will be sent to you by Email. Along with this confirmation aninvoice will be sent to you. Step 5 When your payment is confirmed by our financial department, confirmation will be send to you, the candidate and the examination facility. Step 6 When the candidate makes a appointment at the examination facility to make the assessment, confirmation of this appointment will be sent to the administration of the Maritime Dutch Law Assessment website.The login codes will be sent to the examination facility. Welcome to the Maritime Dutch Law Assessment website. If you wish to register for the assessment please follow the steps. As soon we receive your registration from�your employer, you will receive the appropriate material to prepare for the assessment.